I love my Muddy country (as you know). And I love my lovely doggy, Stella. My ideal mini break involves both of these passions, so I’m so pleased to have found a brilliant bolthole in the east of the county where I can indulge myself in a peaceful break, without the guilt of leaving pooch behind (necessarily). 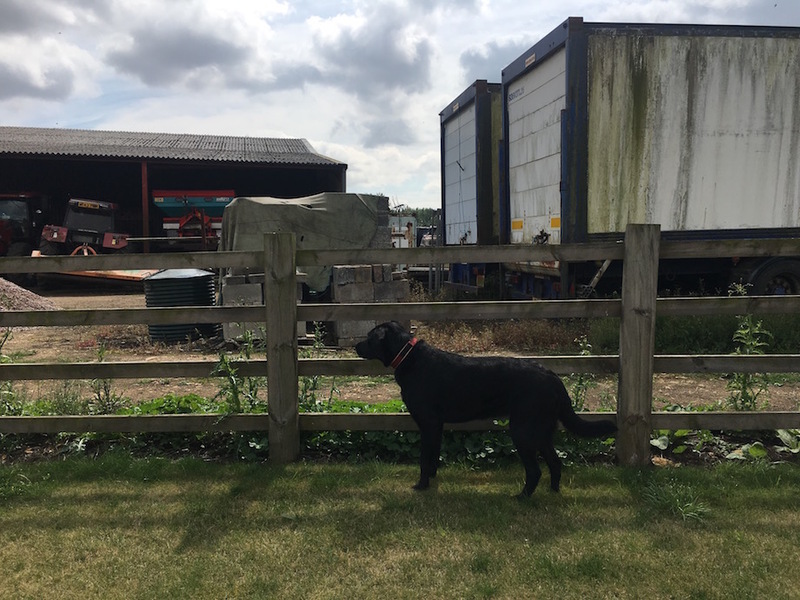 This week, Mr Muddy, Stella and I headed over to the ‘emerald triangle’ of Barnwell, Ashton & Thurning. Why emerald? 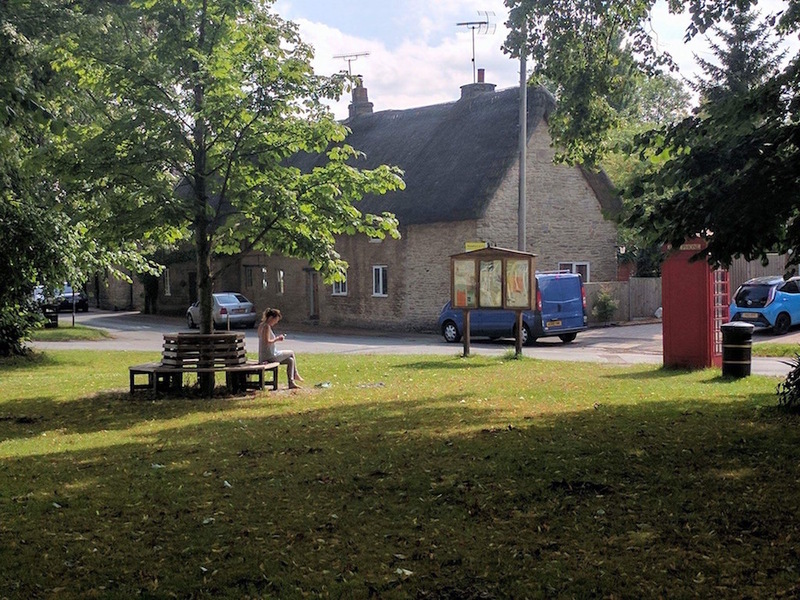 These are all beautiful, lush green outlying villages set around Oundle – famous for its International Festival, food, film and of course it’s public school. 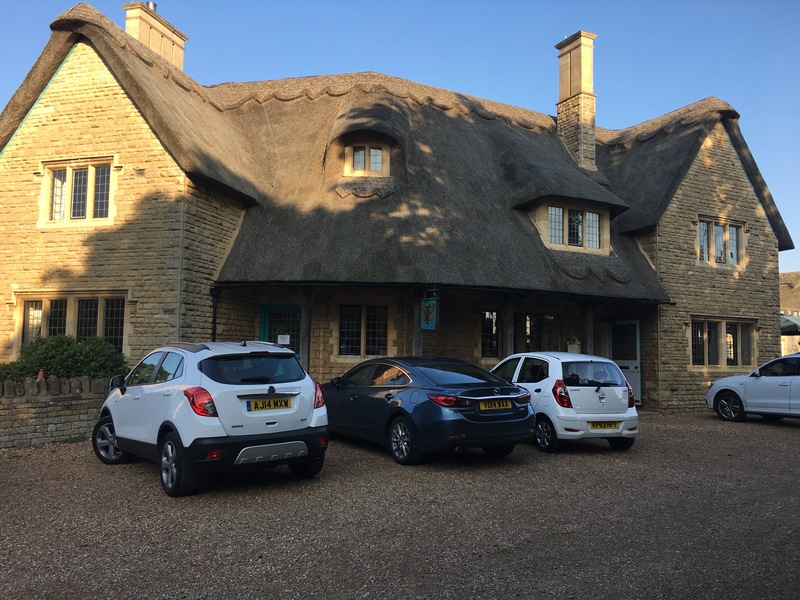 Within 30 mins from Muddy Northants HQ, we headed across to Lower Farm B&B in the idyllic village of Barnwell – on the Nene Valley trail. 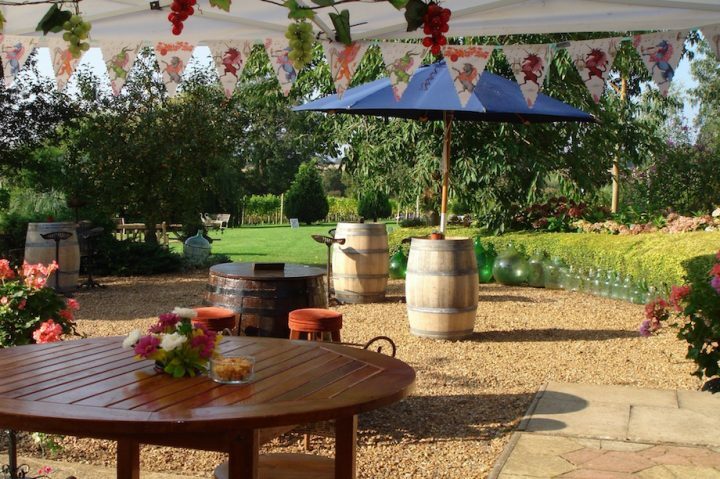 The B&B is set alongside the main farmyard, and is a collection of converted stables featuring ten neat clean and cared for en-suite rooms, with accoutrements including a lovely invigorating shower. 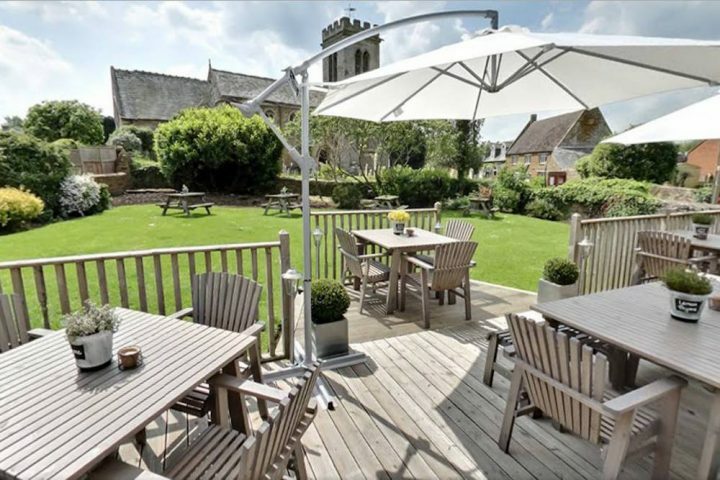 It’s traditional more than boutique in style, but has everything you need for a comfortable stay (including outdoor tap and dog bowl for thirsty pooch). 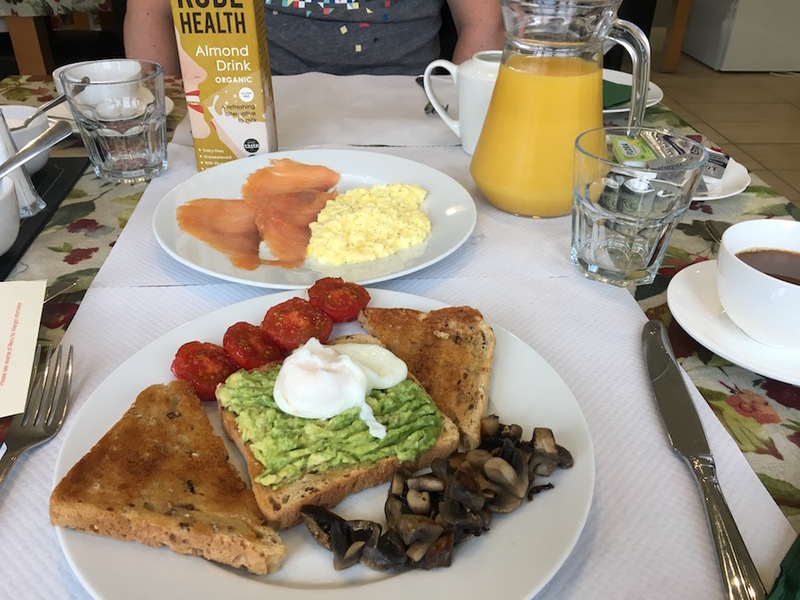 The amazingly restful night’s sleep and brilliant and healthy breakfast (fresh fruit, locally farmed produce, almond milk – tasty) were only two of the many great reasons to stay. 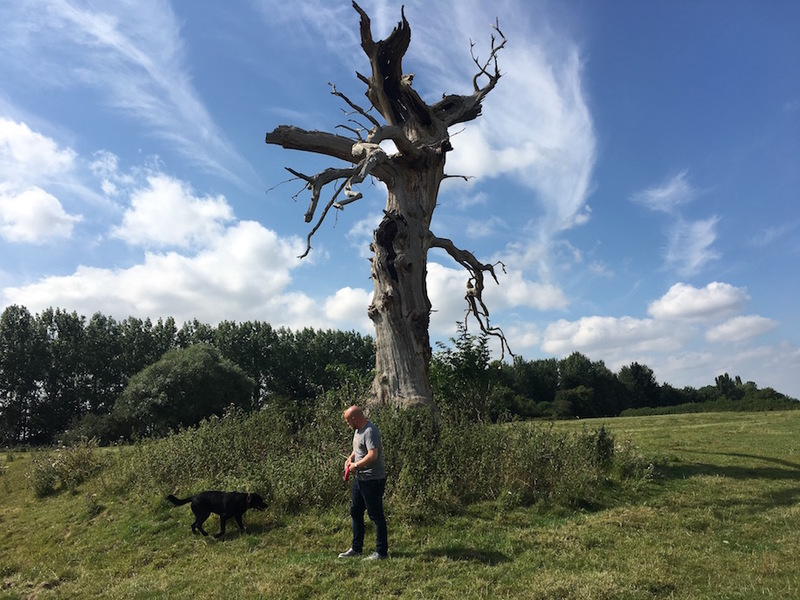 For me, the fact that dogs are so welcome is the great bonus, plus there are plenty of great walks on the doorstep to keep doggy healthy and happy (including a watering hole at the Montagu Arms – the village’s 300 year old Pub). The idyllic outdoors are most likely what attracted local aquatic heroes Canoe2 (now installed at Rushden lakes) to park their non glamping clientele at Lower Farm during their fab overnight trips. 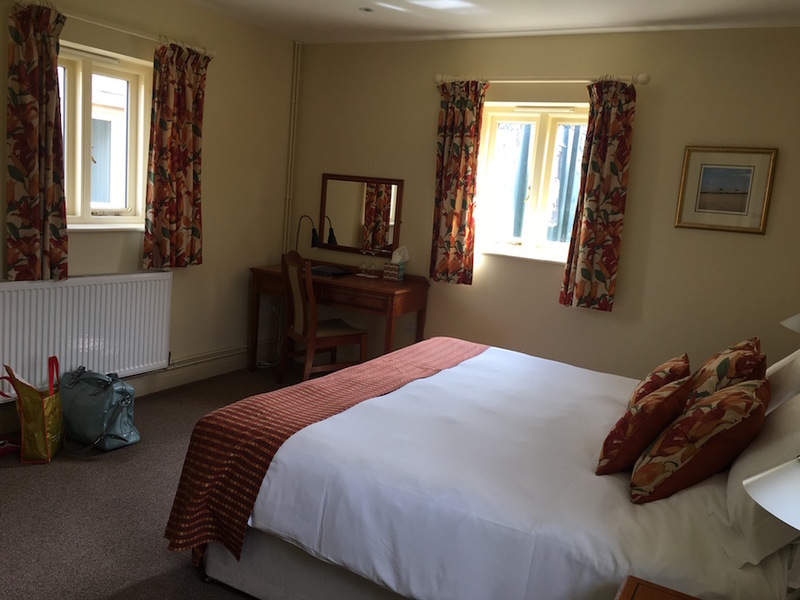 The B&B also attracts lots of overseas visitors and is a real focal point for the area – owner Caroline has a vast knowledge of the local histories and amenities so you’ll do well for adventure and exploration should you wish. As it was, we headed a couple of miles up the road to the equally gorgeous village of Ashton and a lovely evening at The Chequered Skipper. 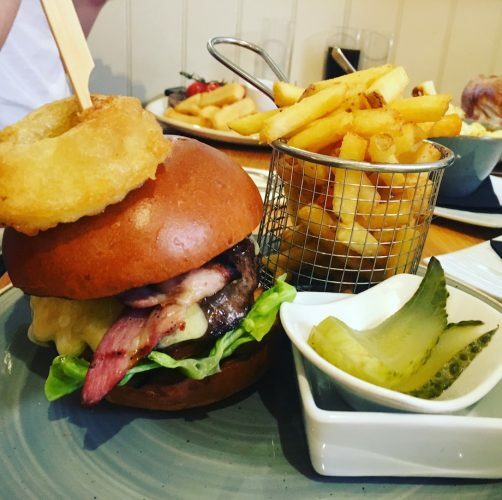 It’s a picturesque thatched country pub that mixes tradition with a light modern touch and the menu provides tasty food in ample portions for walkers and day trippers. The history of the pub and the village is fantastic – Ashton was actually built by the Rothschild family as a model village, which might explain it’s idyllic nature, beautiful village green and the reason why The Guardian and various other media establishments believe this area to be the best place to live in the UK. 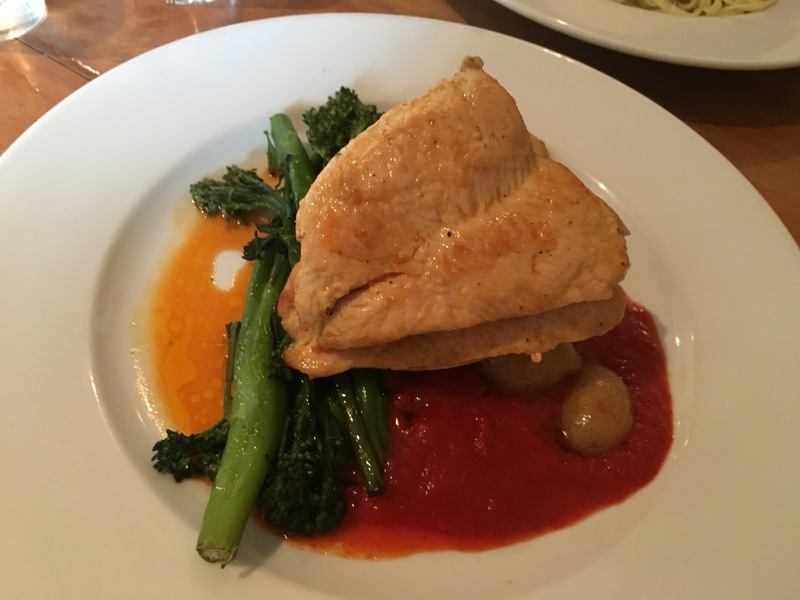 So having established the area is well worth a stay, the pub itself is well worth a visit, and Manager William and his lovely staff are really warm and welcoming of their two and four legged guests. 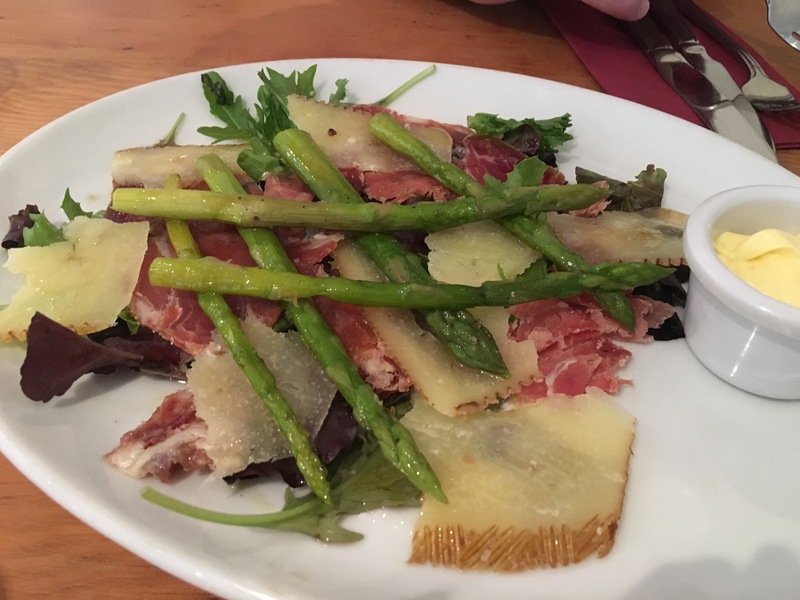 On our visit (a balmy Northants evening) we shared some locally grown Polebrook asparagus served with Tasty Serrano ham and Manchego cheese, followed by garlic and rosemary chicken and a tasty tiger prawn linguine (I like mine a bit more al dente, but hey, I’m picky ; ). 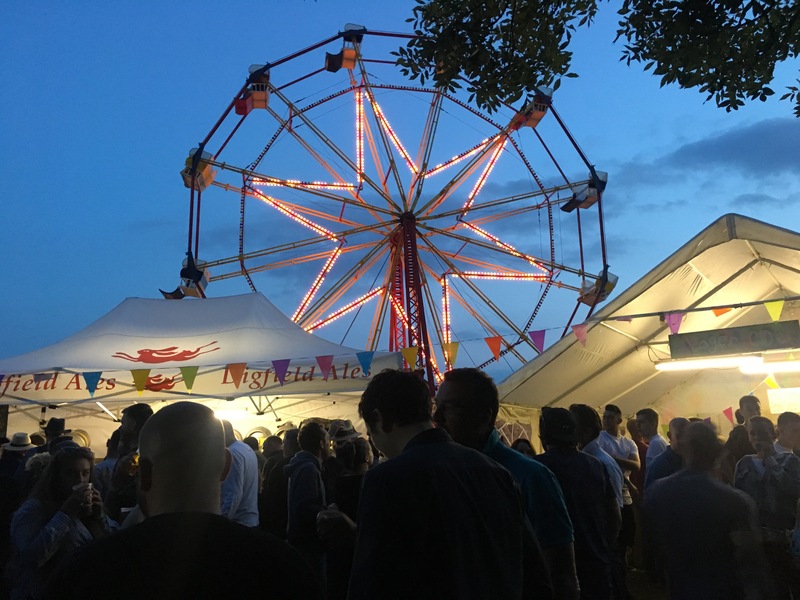 With a happy heart and a full belly, the three of us headed over to the annual and magical Thurning Feast, and took advantage of some of the good times and great tunes on offer at the event. To the uninitiated, this is a charity event, aimed at raising funds for the local Church roof. 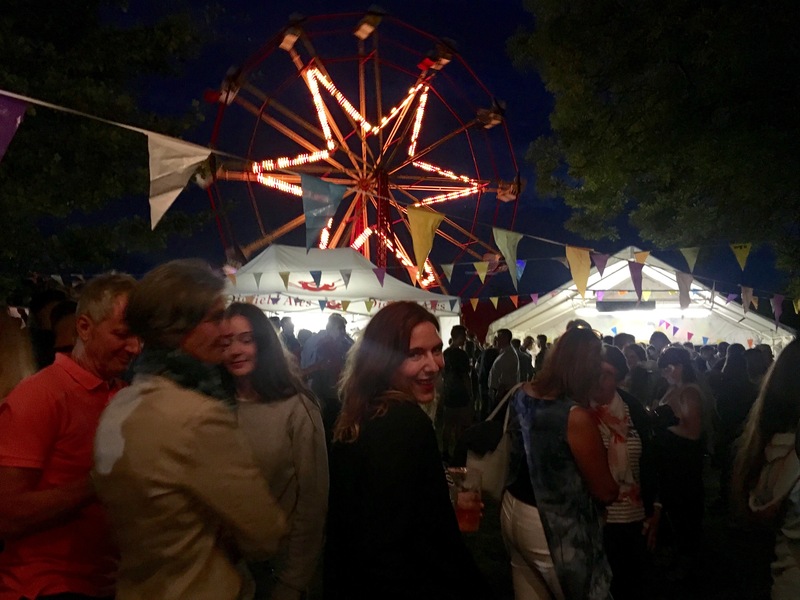 It’s a great shindig, with local food stalls, fairground rides and talented musical turns keeping us entertained into the small hours. 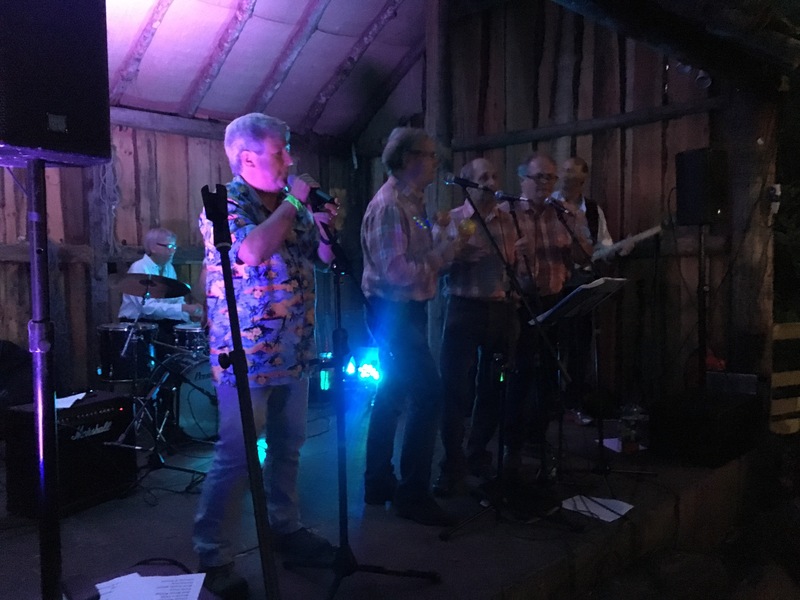 Better than that, it’s a great opportunity for the local communities to get together and have a good time – including interlopers such as Mr Muddy and I (we spent our cash on the entrance fee, and forgot we wouldn’t be able to use our cards for cider, doh). Canoe 2 are now located at the new Rusden Lakes development.